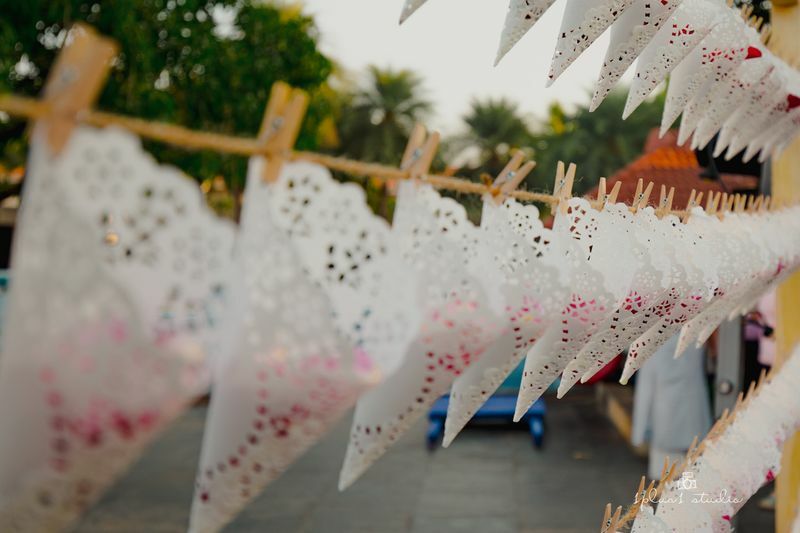 10 Ideas We Loved At This Intimately Cute Alibaug Wedding! 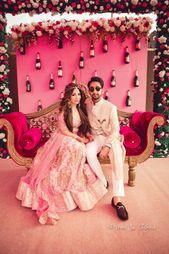 We are big fans of intimate weddings- which give out that vibe of 3 days of non stop party for guests who really matter to the couple, and this wedding was one of them. 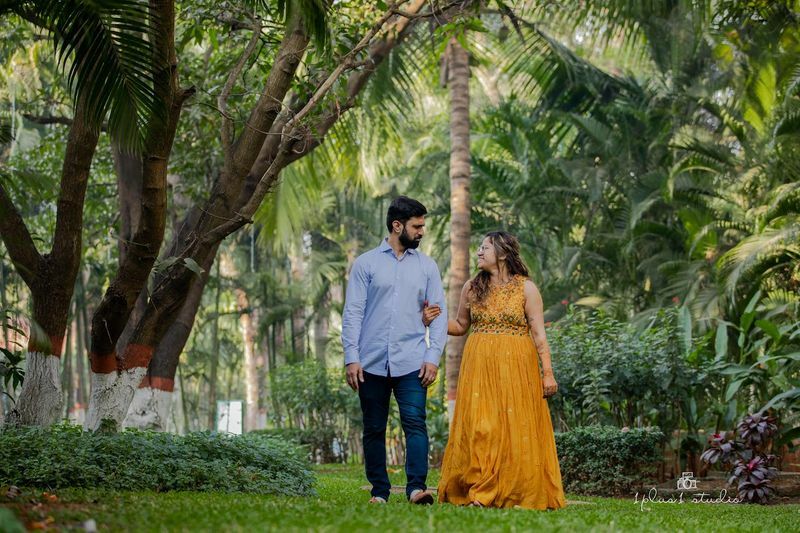 Shaili and Mahesh tied the knot in Alibaug, which was a great choice for a destination wedding, just off Mumbai, and the wedding looked like a blast! 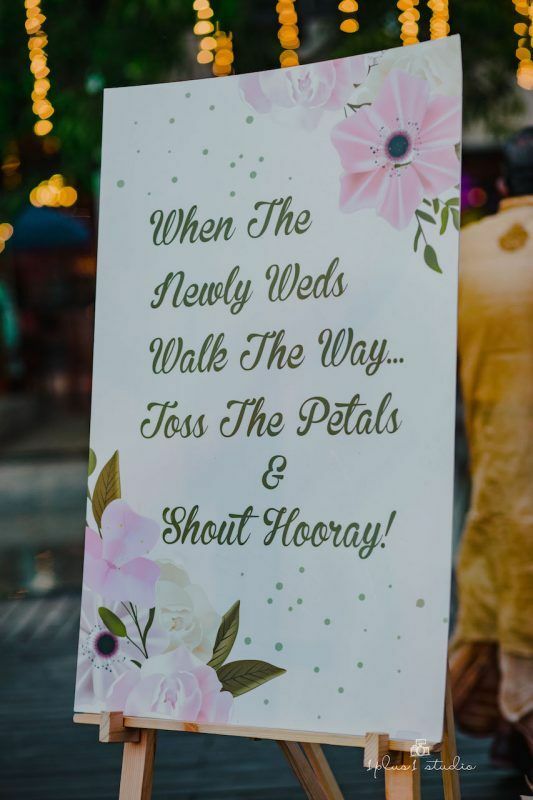 Planned to perfection by F5 Weddings★ 5 , this one had a lot of cute ideas we loved that are easy to implement, and look and sound like super fun too. Shot by 1plus1 Studio★ 5 , this one looked like a hoot! 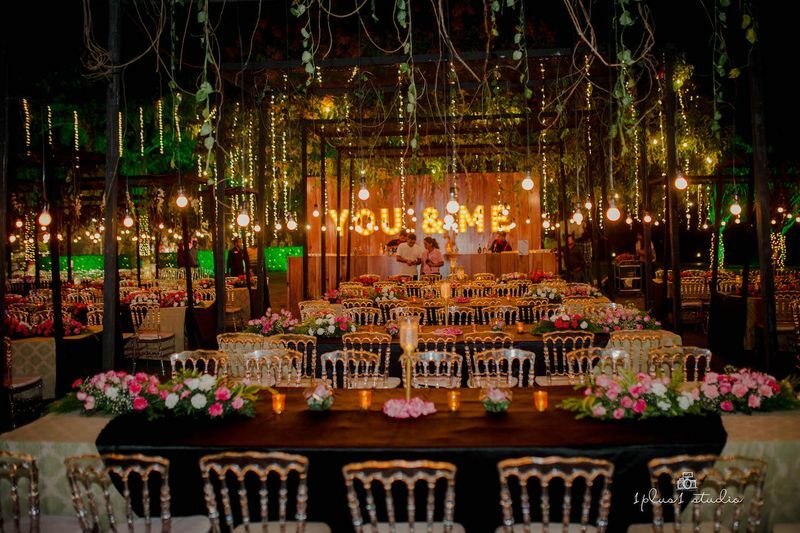 So here are 10 ideas we loved at this intimate wedding, which really popped for us! 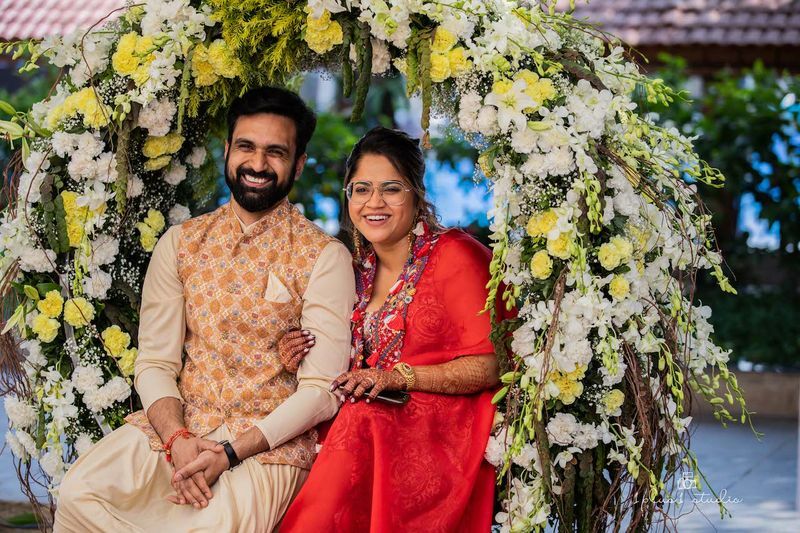 The bride Shaili wore a floral embroidered Sabyasachi Lehenga that we haven't really spotted on any bride before- and it was quite unique with that pop of blue and red on the flowers! 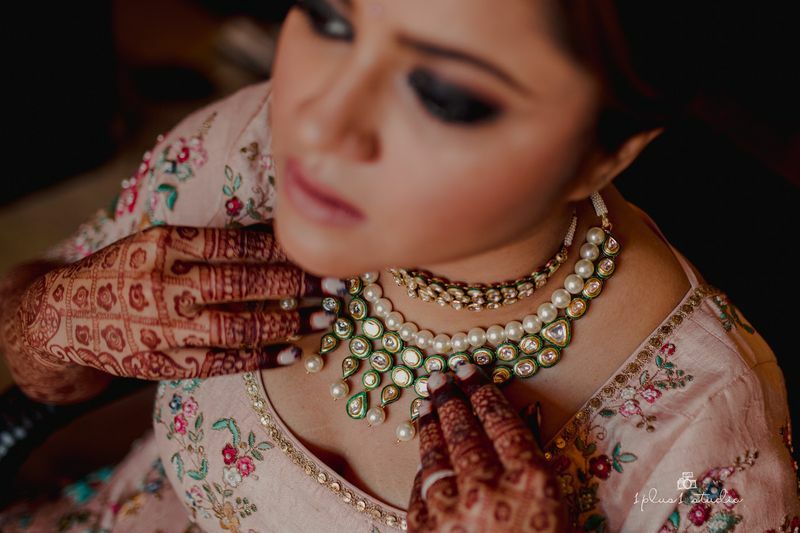 The bride's jewellery was also quite pretty, simple and subtle and contrasted with her lehenga beautifully. 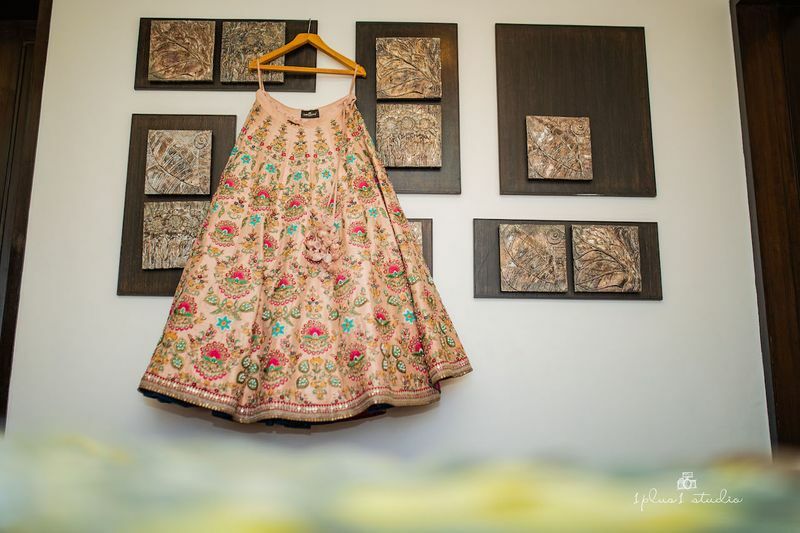 The fact that the bride wore the same lehenga for the reception- just styled it differently! 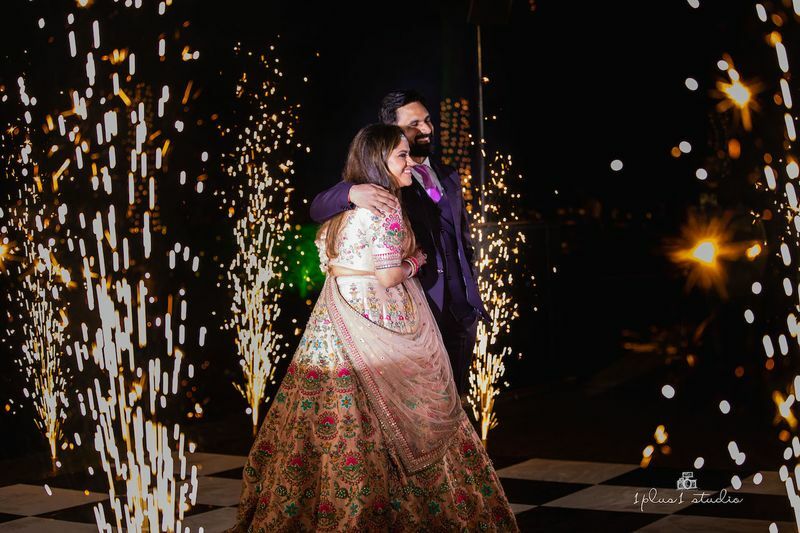 The bride wore the same bridal lehenga styled differently, more casually for her reception the same night, and we honestly are big fans of this idea, which actually looks different too, with a different hair do and dupatta drape. 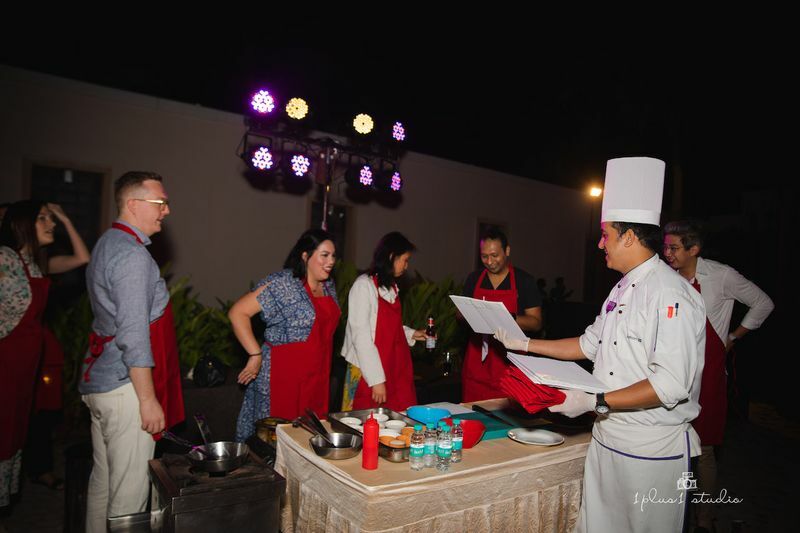 The 'Masterchef' event for the guests! 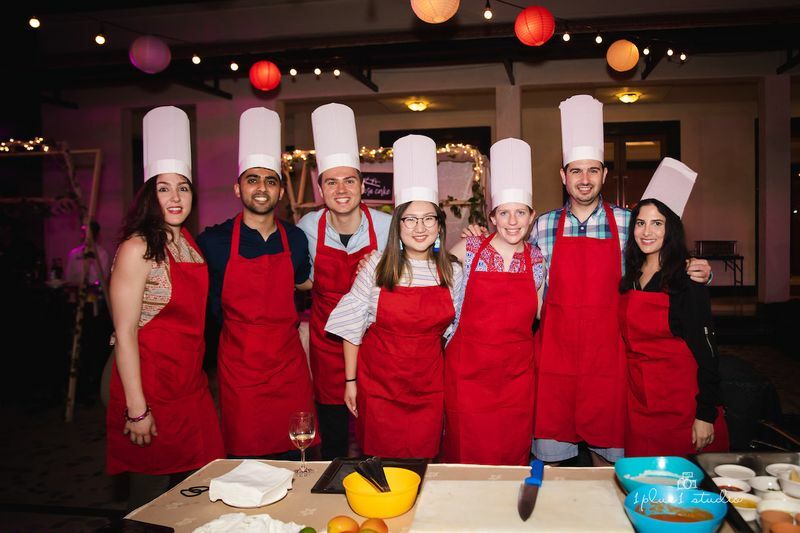 Bride Shaili tells us, "We had a masterchef event to kick off the wedding celebrations with our close friends where we gave traditional spice boxes to our guests. I designed a recipe book on how to use these spices together to make a few popular indian dishes that was also gifted along with this box." The donut wall and cheesecake counter! 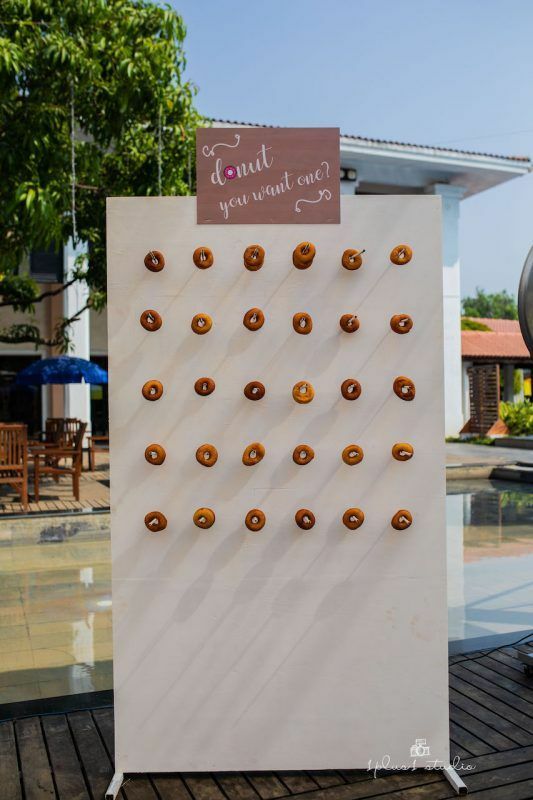 The couple had a donut wall and cheesecake counter at their events- something that made us drool! 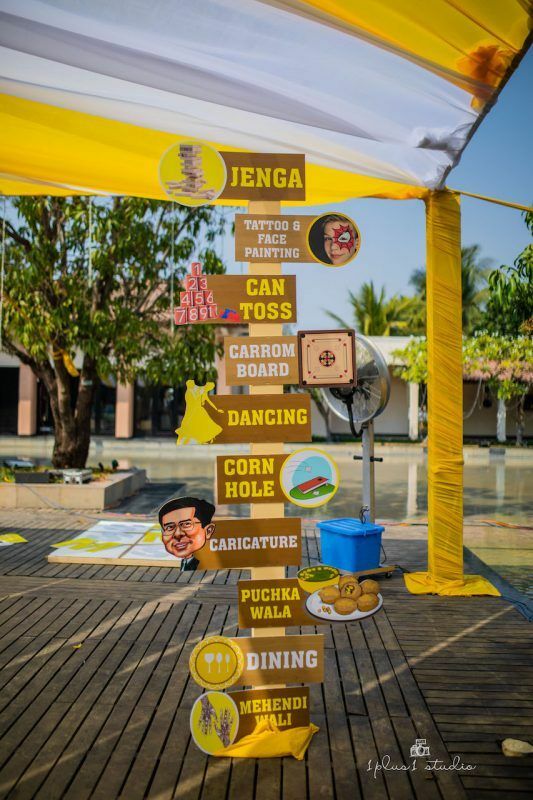 Yes, this couple had a games-themed mehendi. They wanted the event to be chill and interactive! 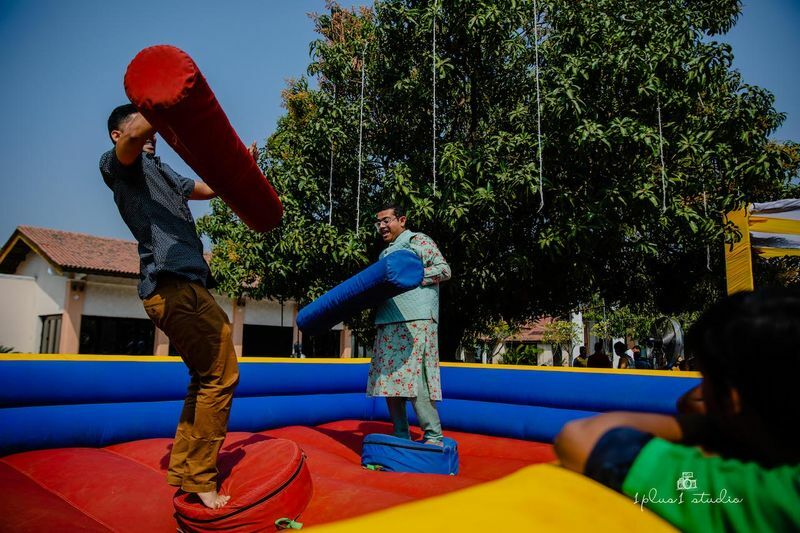 They even had a hot sauce competition during the Mehendi. 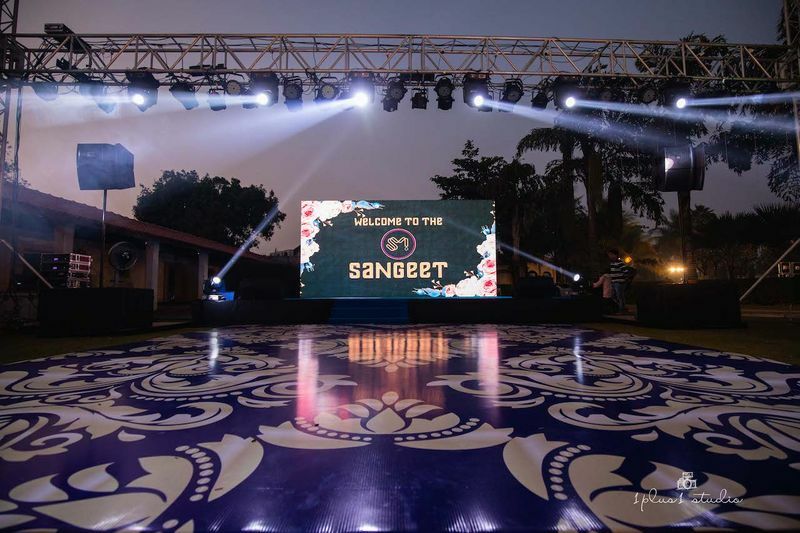 They also had a Sangeet night with a magician for live entertainment, which is still quite an offbeat idea for weddings. Both the bride and groom love magic shows, and wanted it to be a part of their wedding celebrations! They even had a photobooth where guests could print their photos since they wanted a way for the guests to take back memories from the event. 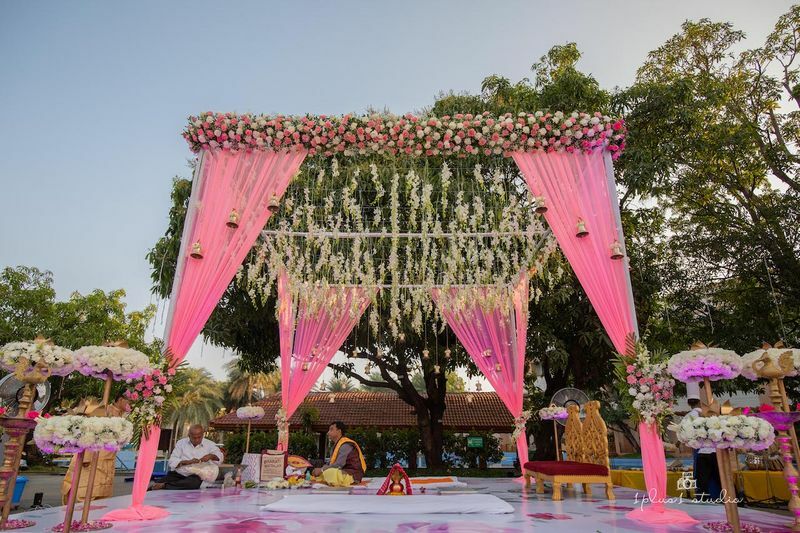 How pretty is that mandap with the almost ombre effect and hanging floral strings? Plus, don't miss the temple bells too. This idea has become quite a hit off late, and it does double up as decor too with the cones looking quite nice on display! Plus, how easy are they for the guests to take off the clips and shower on the couple. 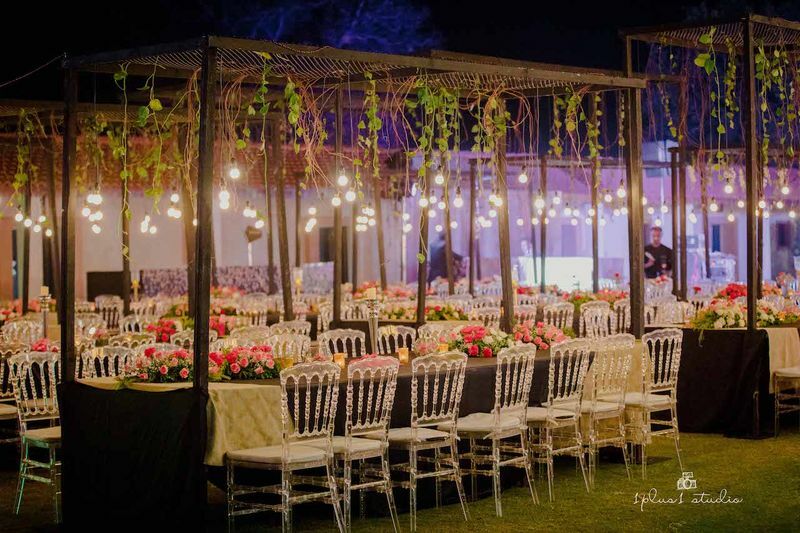 The reception decor at their wedding looked amazing with the long table setups, the hanging botanical trellis and the ghost chairs. Plus, don't miss that cute statement installation too. So nice and intimate for a reception! "Working with F5 was a dream. From initial conception all the way to execution they were on top of it. They quickly understood the vibe we were trying to go for and helped make our dream a reality. 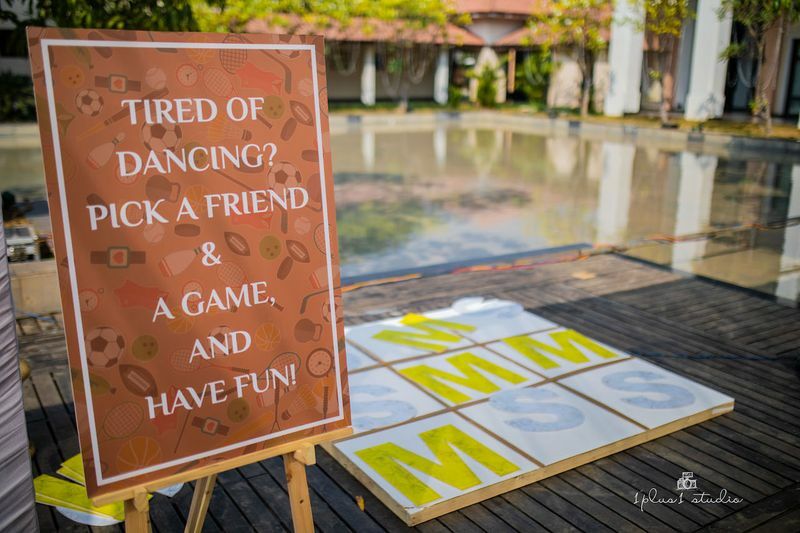 During the wedding events they amazed us with how everything came together. 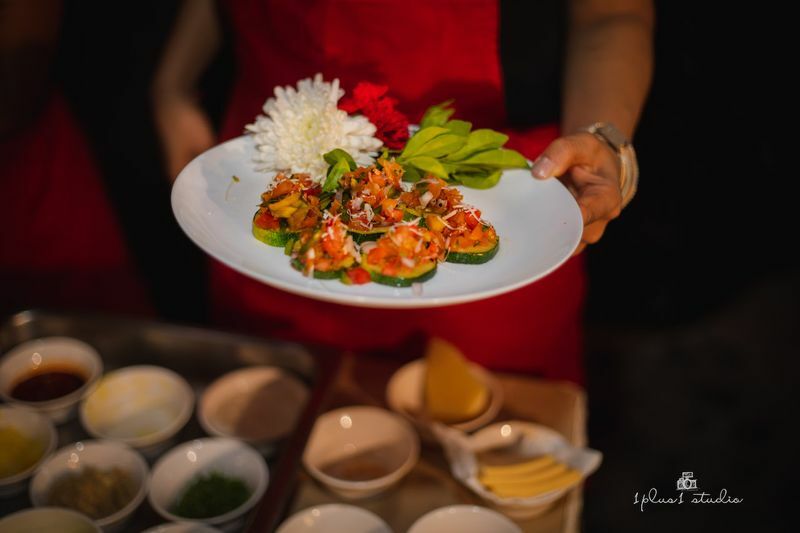 We didn’t have to worry about a thing and could spend time with our guests/family and enjoyed our wedding." 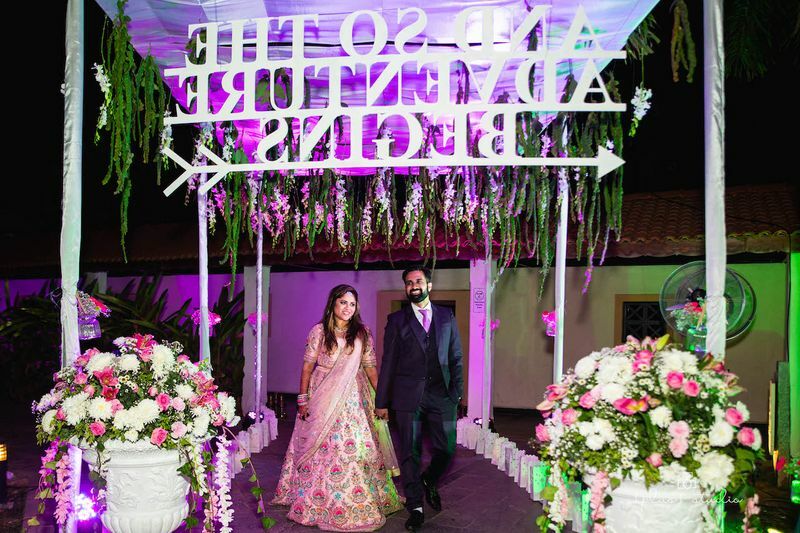 6 Ideas We Loved From This Grand Jaipur Wedding! 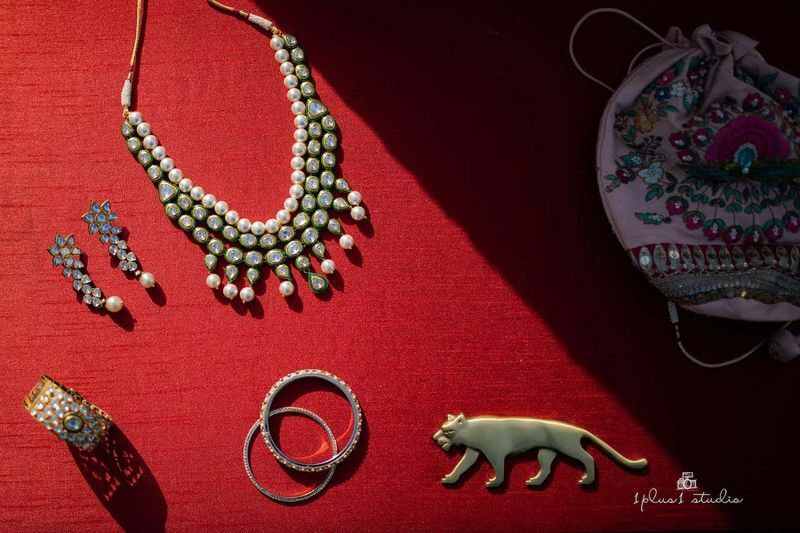 9 Ideas We Absolutely Loved At This Intimate Destination Wedding in Jaipur! 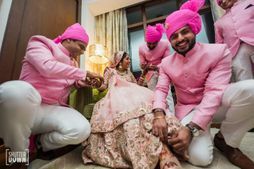 7 Unique Ideas We Spotted In This Cute Lonavala Wedding! 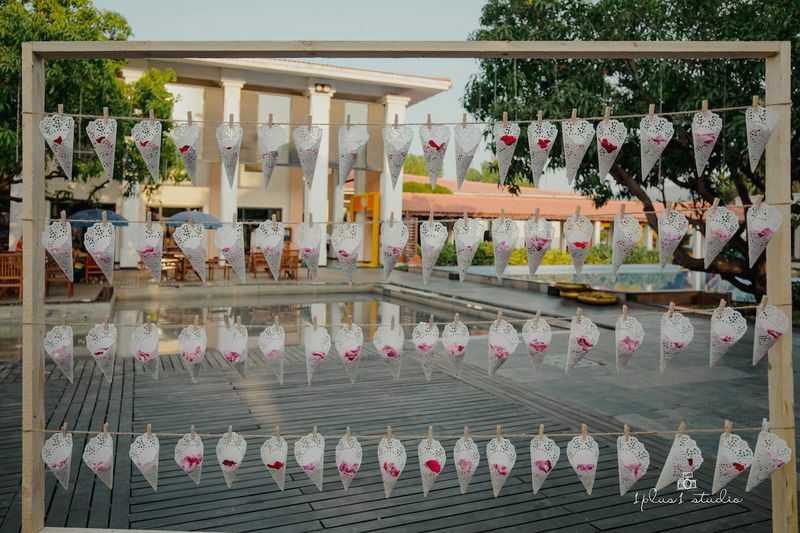 Super Cute Ideas We Loved In This Mykonos-Themed Mehendi! 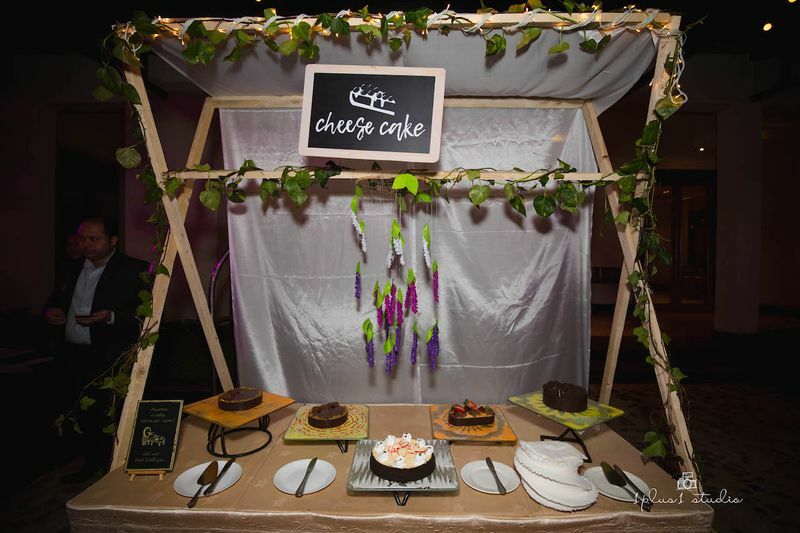 9 Quirky Ideas That We Loved At This Fun Wedding! Share your own wedding to feature on WMG. 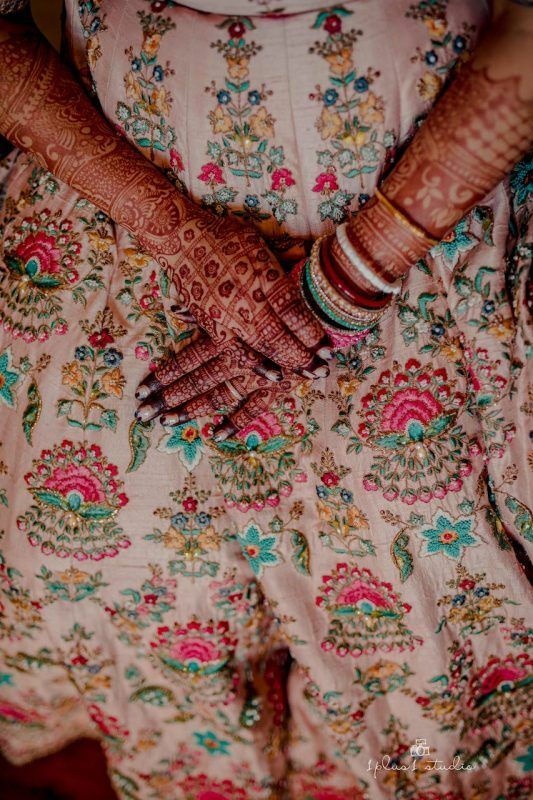 These Lotus Motif Mehndi Designs Totally Left Us Awestruck!